Gujarat derives its name 'Gujaratta' meaning the land of Gurjars. The Gurjars passed through the Punjab and settled in some parts of Western India, which came to be known as Gujarat. The state situated between 20o1' and 24o7' north latitudes and 68o4' and 74o4'east longitudes. The state is bounded by the Arabian Sea on west, Pakistan on the north-west, Rajasthan in the north, Madhya Pradesh in southeast and Maharashtra in south. Gujarat is seventh largest state in India. It stands seventh in terms of population too. This state is situated on the west coast of India. 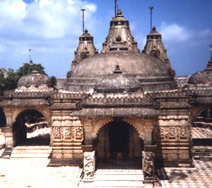 Gujarat is a tourist destination offers something for every visitor. Gandhinagar the capital of Gujarat is in west-central India. 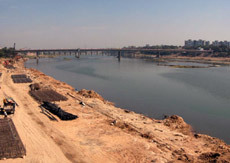 It lies on the banks of the Sabarmati River, north of the former capital of Ahmedabad. It is organized in 30 residential sectors, in an ordered style influenced by the work of Le Corbusier, who designed Chandigarh. Its near-symmetrical numbered streets are wide and strangely quiet, lined with 16 lakh trees. An expressway connects Gandhinagar with Ahmedabad. A devastating earthquake hit parts of Gujarat on January 26, 2001 and has caused considerable loss of life and property. A few of the cities have been reduced to rubble, especially in the Kuchh region. Quite a few monuments have also suffered damage. It is, therefore, advisable to find relevant information before you set out to explore them.